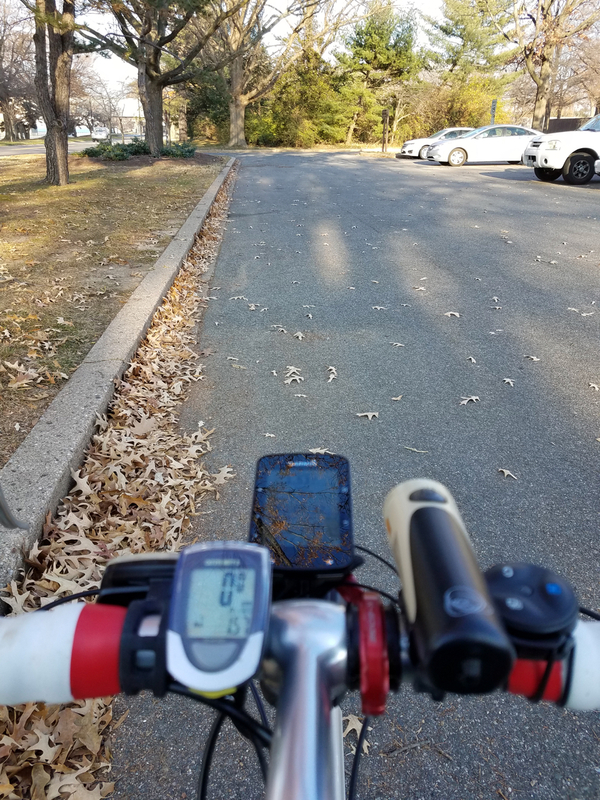 The third day of Randonneurmas is here already! The lineup of gifts for cyclists continues with one of my favorite new headlights. We’ve been using rechargeable Light & Motion Urban series lights for years, primarily for commuting. The price is affordable, and they throw a lot of light for their size. They also come off the bike easily when locking up. For proper randonneuring and century rides, we like a dynamo hub, preferably the Schmidt SON and a modern LED light from Schmidt or Busch & Muller. But for commuting and as a backup light to a dynamo system, a good rechargeable is nice to have. The issue with the Urban series, however, is that they have a maximum run time of six hours on low and 90 minutes on high, no matter how powerful the model. This year Light and Motion addressed that issue with the Rando 500, priced at $80 MSRP though it can be found for close to $60 on sale. The big selling point is doubled run times, from six hours on high to 12 hours on low – and a low pulse mode that runs out to 24 hours. Adding to the Rando-ness is the ability to recharge while using the light (on low or pulse) from a dynamo connected to a USB socket, as long as you use the special included USB cable. The output of 500 lumens on high, 250 medium and 125 on low is generally more than fine for urban riding and great on dark roads and paths. 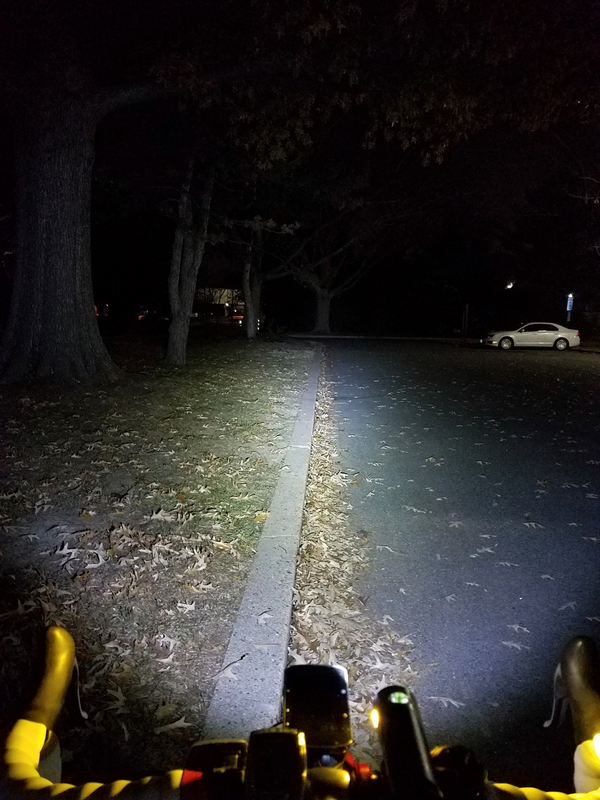 The beam is round with a bright center – not the ideal headlight-style throw of the best dynamo LED lights, but not the worst. I’ve included some decidedly amateur shots below of the light in action. The only flaw I’ve found is the light doesn’t always recharge properly with non- L&M usb cords (despite the company’s information to the contrary) from AC power outlets. The light will turn on and stay on for some reason. The light will charge normally, however, off a laptop USB outlet or rechargeable battery pack with the same cord. L&M customer support advised me that the cord issue was not a defect and to use the included special USB cord, which indeed works with any power source. I’m OK with that restriction. 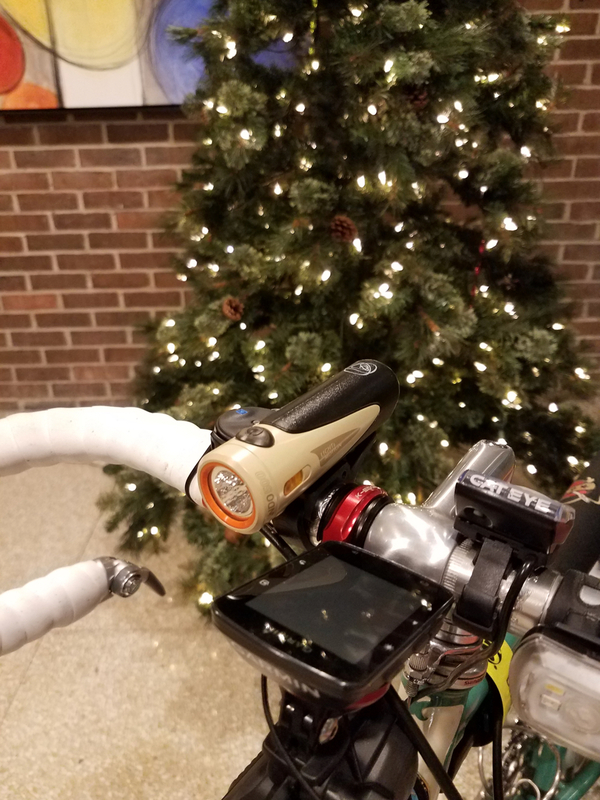 The long run time and less frequent charging, relatively low price and bright light makes this a light worth gifting to your favorite rider (and that may be yourself). And with that, keep it bright and visible out there! Tomorrow’s installment: the indoor revolution. Hi Ed, would you give a similar recommendation for a rechargeable rear light? I’m specifically interested in a light which would run for a night (7-8 hours) on a steady beam. 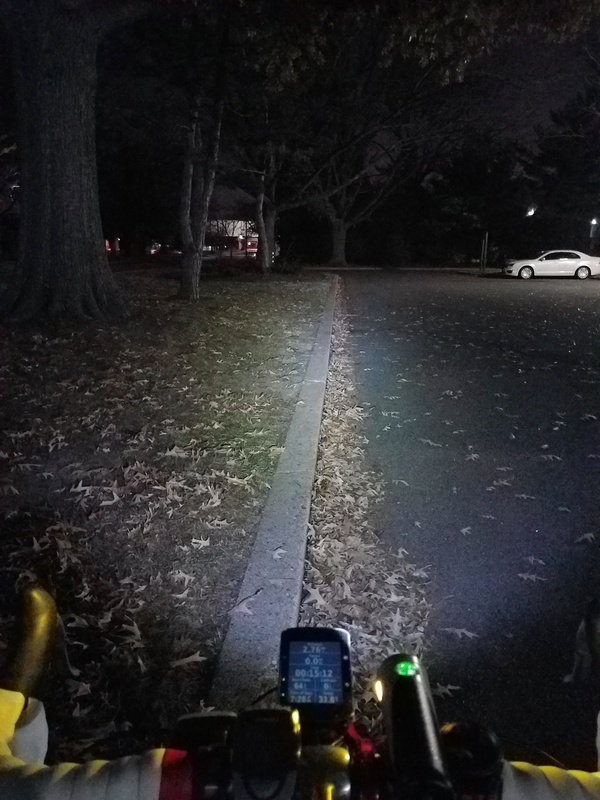 I find it extremely annoying that lots of people use flashing rear lights during group riding in the dark, just can’t stand someone doing that in front of me. So I’m thinking Knog Blinder Road R70 with the “peloton mode” would be a good option for me at PBP next year. Esp. if I could attach it to a seatstay to not get obstructed by the saddle bag. Looks very good, indeed. I’ll see if I can get it in Europe. Thanks.